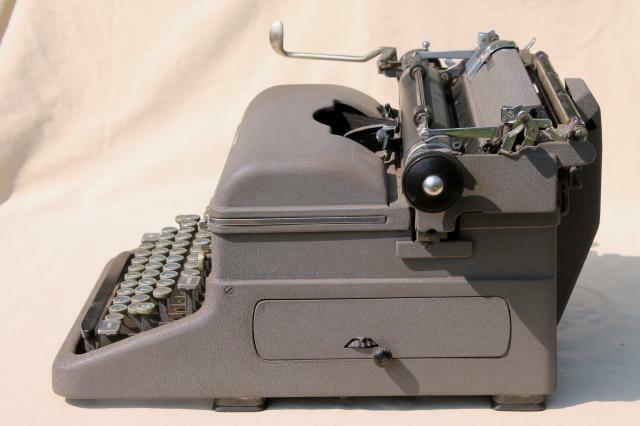 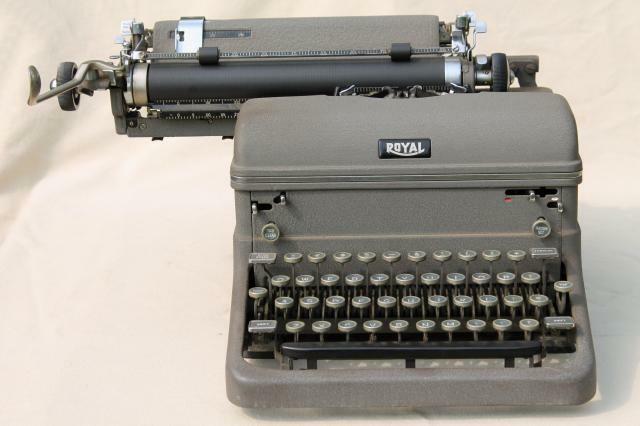 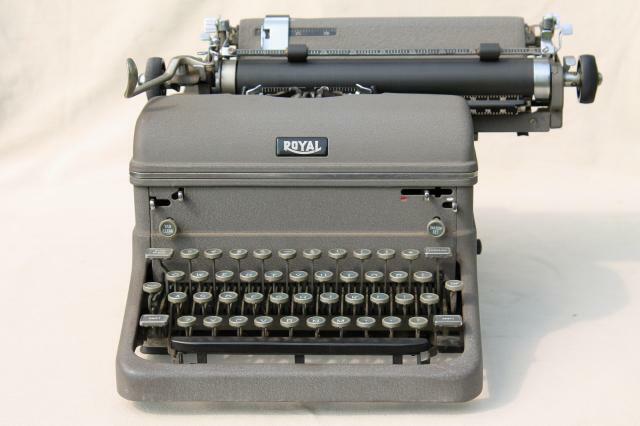 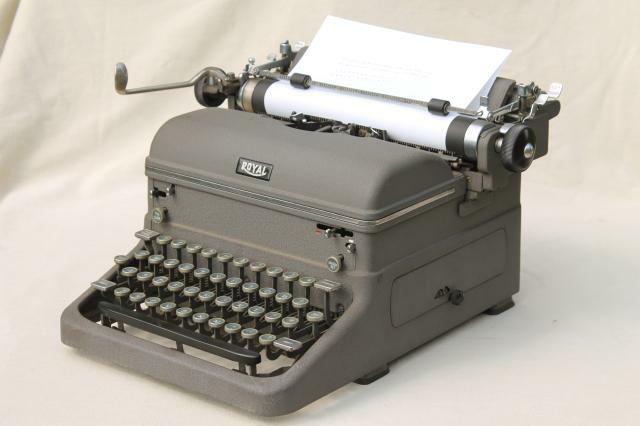 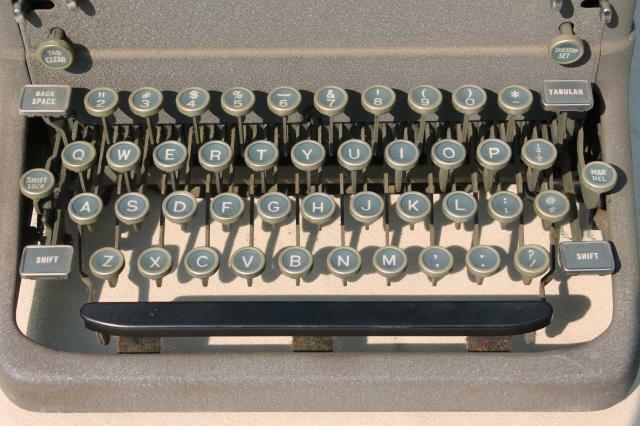 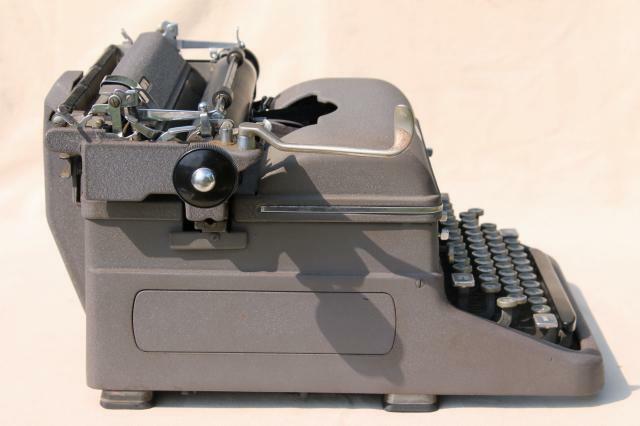 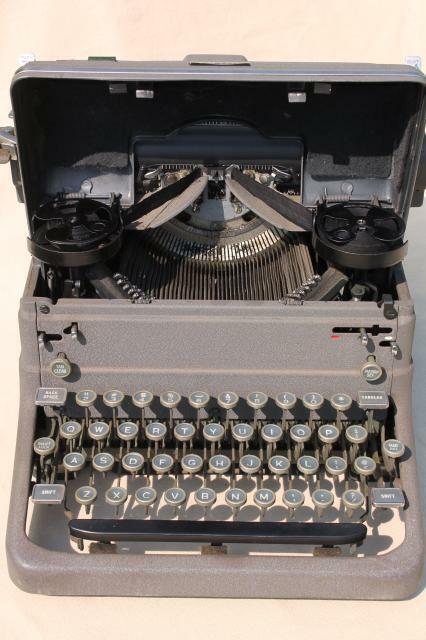 mid century mechanical Royal typewriter with industrial gray finish and round glass key. 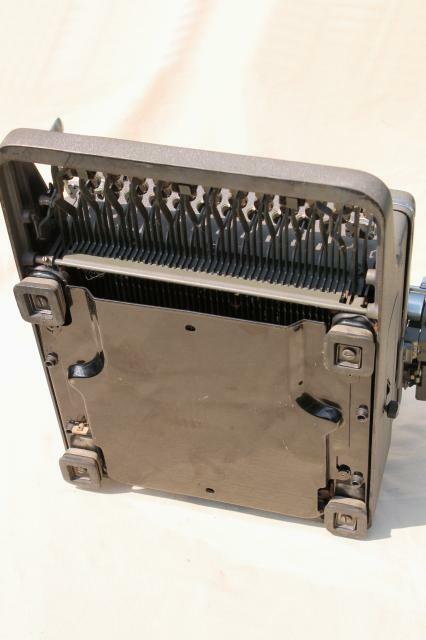 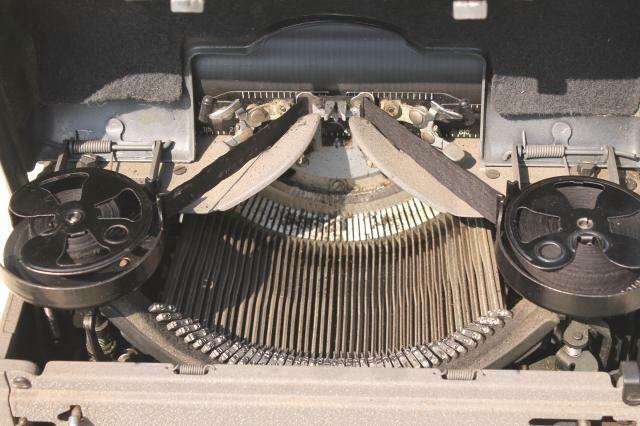 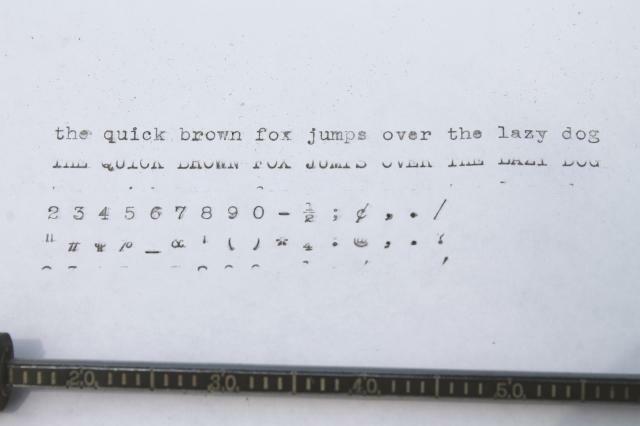 This typewriter will need a good cleaning and oiling as the linkages are dusty and a few of the keys are stiff. 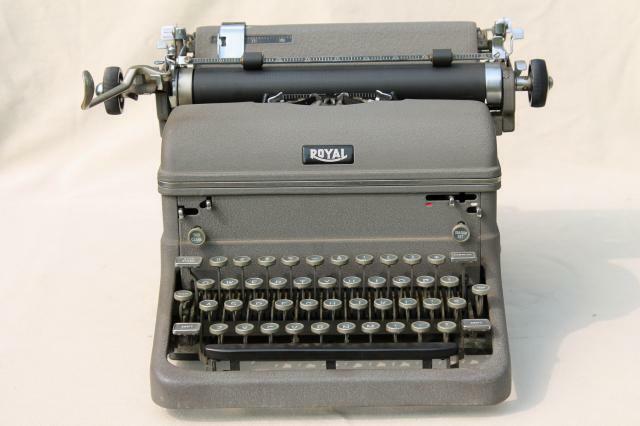 The ink in the ribon is dried out and the ribbon is ragged. 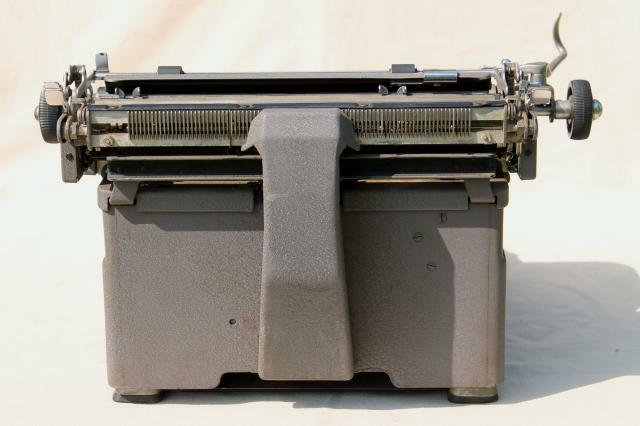 It will need to be replaced.